These staggered walls so typical of the wine landscape did not arise in a day. They have required immense work and testify to the tenacity of men to tame the slope. 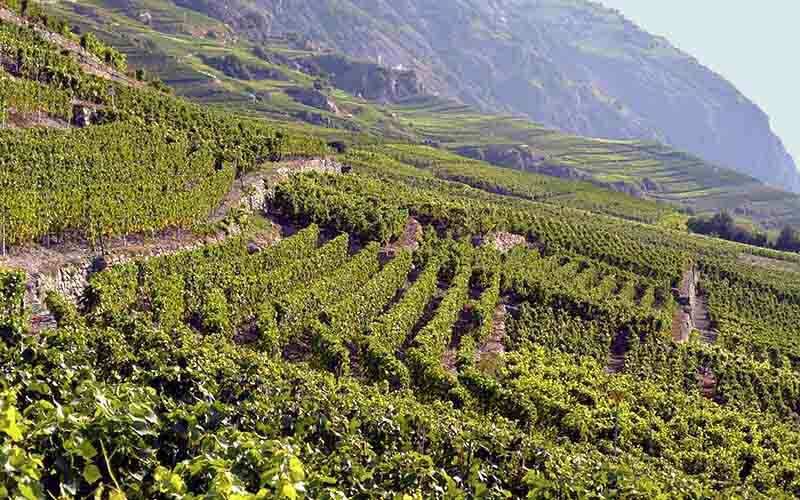 In Valais, the landscape of terraced vineyards represents 1511 hectares, or a length of 3000 km of dry stone walls. Until the beginning of the twentieth century the cut of the vines and the harvests are mainly made at the billhook. This was still the case until 1950 for some winemakers. The tools used for tillage were neither numerous nor exclusive at the work of the vine. Pickaxes (with one, two of three teeth), picks, shovels, capions (kinds of sickles) are used in the vineyard, the garden or the field. From 1850, the cultivation of the Fendant and the struggle against the phylloxera require new rules that give the vineyard its present lines. 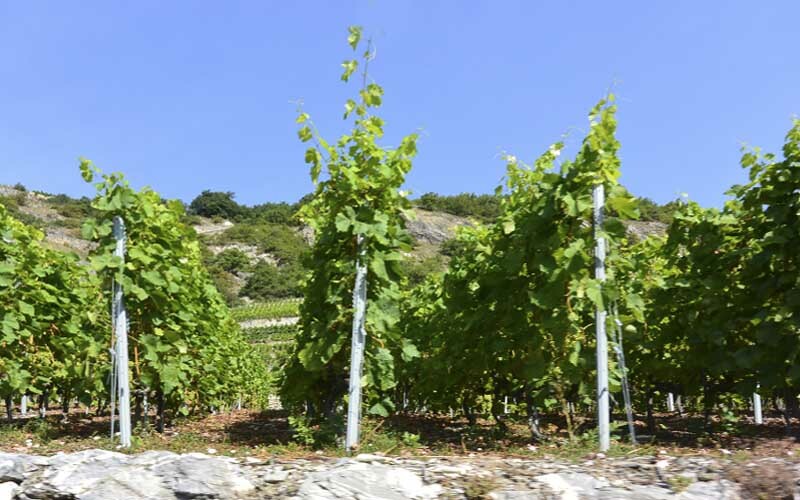 It takes a strong will to plant vine stocks on the slopes at 60-70% of the Valais. However the vineyards in hillsides ensure a good ripening of the grapes. 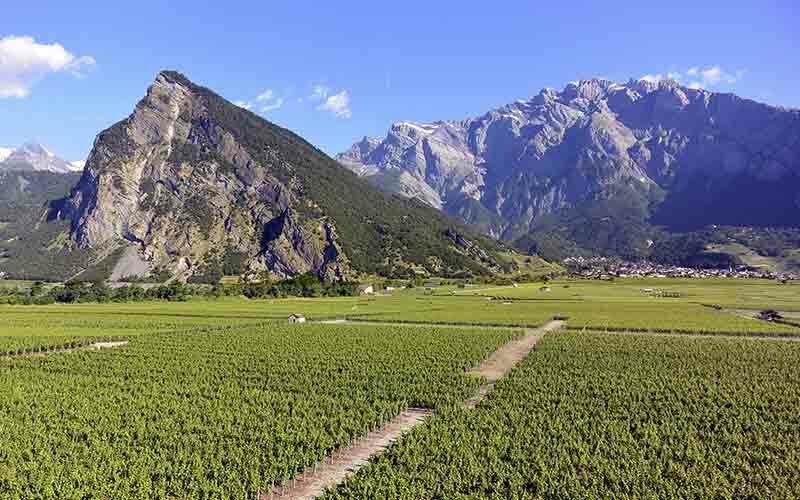 The Valais winemaker must pay the price because the mechanization remains extremely limited. To fight erosion it is necessary to go back up the ground in man’s back. Earthworks, construction and wall consolidation are a permanent challenge. Nature thus imposes its law and manual work to men. With human presence in the vine throughout the year, he is sensitive to the plant metabolism, which limits the use of herbicides and fertilisers. Respectful of the environment, the winemakers of today fully put themselves at the service of quality viticulture. This can be seen in the attention devoted to cultivation techniques, the choice of vine stocks and the control of yields. Many disparities separate the production costs of a plain vineyard from a hillside one. Costs per hectare can vary from single to triple depending on the topography. 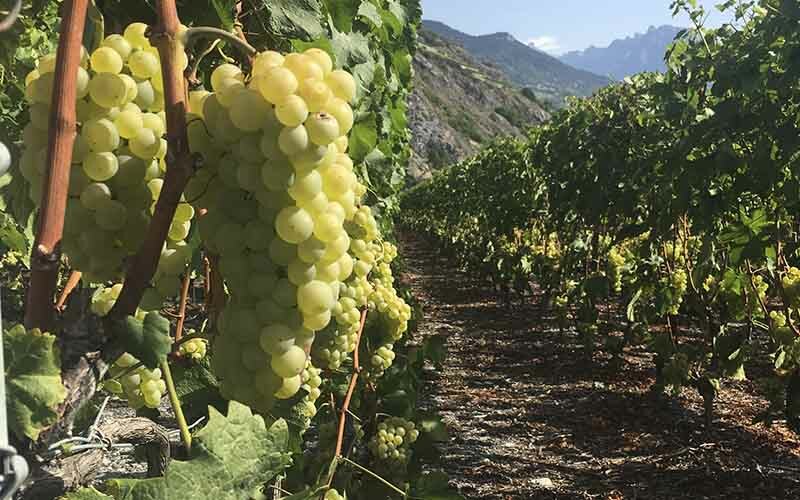 The vineyards on terraces of Valais do not allow an intensive mechanization so labour force also contributes to increased costs. The construction of the terraces, the walls and the staircases that connect them represent only the spectacular part of the work. Combating soil erosion, bursting and stoning, as well as the care and protection of the vine are elements that weigh on the cost price of wine.